On the banks of the majestic River Elbe near the Czech Republic border with Germany lays one of the most beautiful German city - Dresden. It is the capital of the Free State of Saxony and is home to 2.4 million people. Thanks to Electors and Kings of Saxony, the city of Dresden has had one of the most colorful histories in Germany. Unfortunately, the historic center of the city was ruined by Allied Forces during the WWII. However, there has been a very extensive restoration of the city and today it is one of the major tourist attractions in Germany. 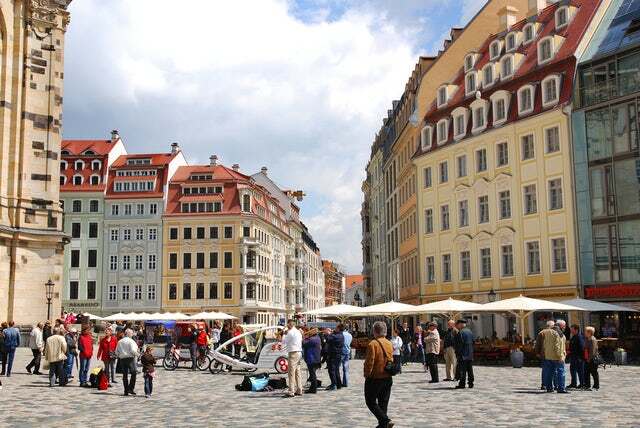 Below are 5 things a tourist can do in the city of Dresden. How would you love to see the art works of Rubens and Titian within the same museum? Better still, how would you love to capture the photo of Rafael's Sistine Madonna on your camera? There is only one place to do that...at Gemaldegalerie Alte Meister. If there is a place whose history can move you to tears, it would be Church of Our Lady. During the WWII, the church was bombed and laid in rubbles until 1994 when a restoration program was started. Today, it is a reminder of the days before the war and one of the places that you will get unbiased history about WWII. Of all the streets in Dresden, there is no place that has as many big clothing brands and fast food chains as Prager Strasse. Any top shelf brand you can think of will be available at one of the outlets on this street. After a series of bombing in 1945, no one thought that this renaissance style opera house would come up again. Bet alas! Today it is one of the most visited tourist attraction in Dresden with opera, ballet and jazz performances being held there on a daily basis. Nestled between River Elbe and Old Town Dresden is Brühl's Terrace, which is also referred to as 'the balcony of Europe' due to its terraced promenade that was part of Dresden’s original rampart before it became a Garden of the Royal Palace. Dresden is a very rich city and its tourist infrastructure is top notch. If you are visiting with the family, prepare to spend a good sum of money. However, money spent here is money well spent.